Week seventy six at last, I am back in the baking saddle but it is a tentative exploration during my recovery and I have found that the mind is willing but the body doesn’t want to stand in place for too long without moving or sitting down! 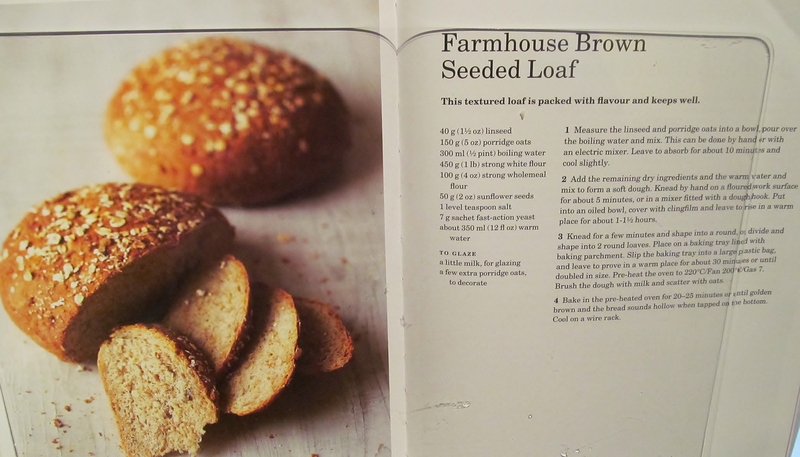 So I decided to find some recipes from Mary Berry’s Baking Bible that I could manage this week. 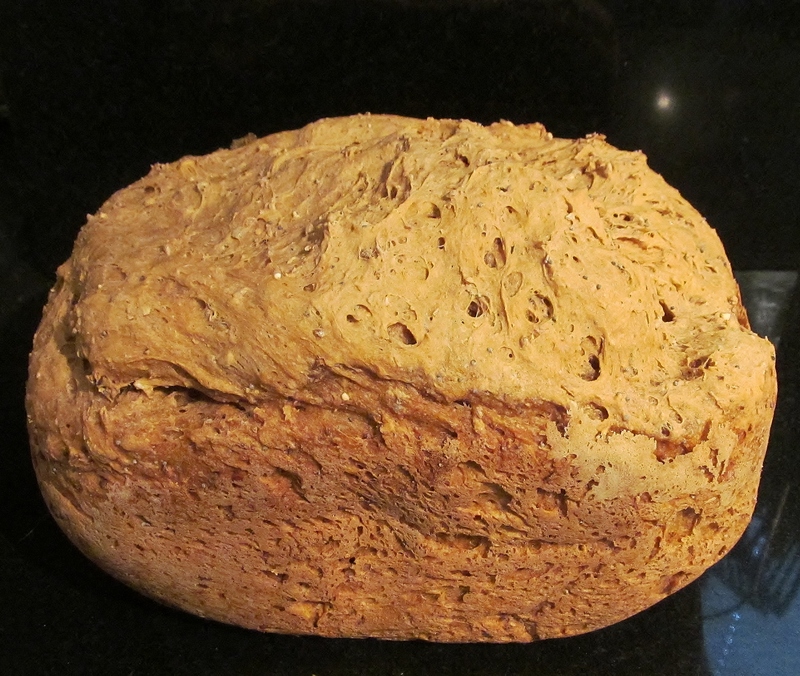 The first being Mary’s farmhouse brown seeded loaf which I let my bread machine take the strain of as I was not up to kneading bread etc but wanted to make it so I followed Mary’s recipe but then let the machine do the proving and kneading and baking. A bit of cheat I know but a girl can only do so much…. The resulting bread doesn’t look as pretty as Mary’s loaf but it was light and tasty inside and it is one of Mary’s recipes that I will make again at some point. 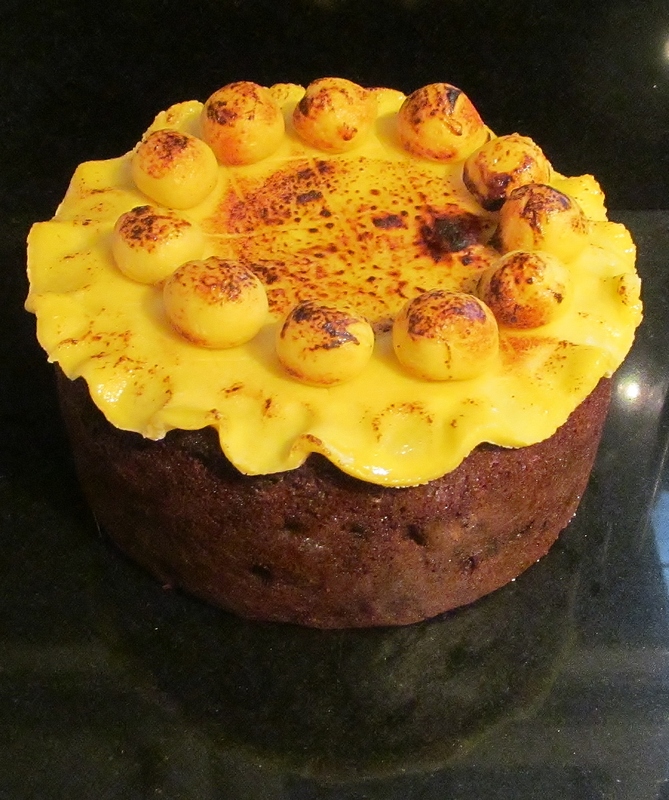 The second recipe was Mary’s Easter Simnel Cake, I thought I had better make this as I am hoping that I will have completed Mary’s challenge by next Easter and it would be a bit weird making a simnel cake at any other time of year. 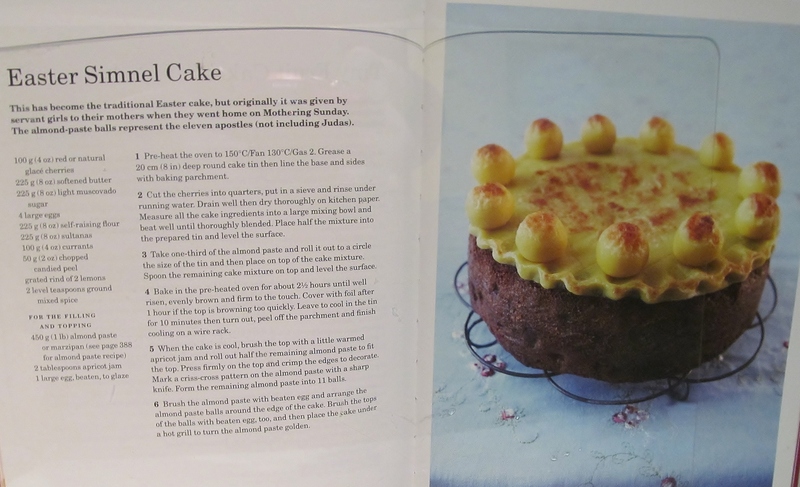 I struggled standing for the length of time needed to weigh out all the ingredients but it is one of Mary’s usual throw all the ingredients in and mix recipes and I used my electric had mixer to take up the strain of mixing it by hand. I poured half the mix into the lined cake tin, added a circle of marzipan and then the rest of the cake mix on the top. After 2 1/2 hours the cake was done. I let it cool and then brushed the top with jam, topped it with another marzipan circle and 11 marzipan balls, brushed it with egg and then borrowed my other mum’s kitchen blowtorch to brown it all. Although I am not overly keen on marzipan, I am looking forward to having a slice of this. I would like to take the time to thank all of you who follow this blog regularly and also to those who dip in and out as they discover it, welcome all and please feel free to pop back as often as you like. I have discovered a true love of baking through this challenge and enjoy sharing the experience on here, the good times and the disasters. This entry was posted in Kim's cake challenge and tagged Baking Bible, brown loaf, Easter, farmhouse loaf, Kim's Cake Challenge, Kim's Farmhouse Brown Seeded Loaf, Kim's Simnel Cake, Mary Berry, Mary Berry's Baking Bible, Mary Berry's Easter Simnel Cake, Mary Berry's Farmhouse Brown Seeded Loaf, marzipan, seeded loaf, Simnel Cake by kimsideas. Bookmark the permalink.